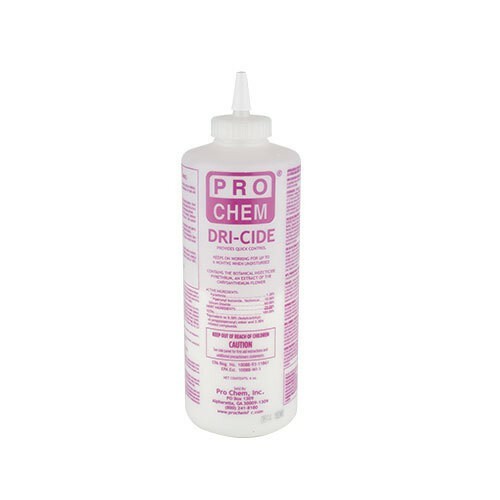 DRI-CIDE | Pro Chem, Inc.
DRI-CIDE is a unique powdered residual insecticide that contains 1.0% natural pyrethrins. It works by draining insects of their moisture. After the silicone dioxide begins to dehydrate the insects, it sticks to the insects and they carry it back to the nests, contaminating the nests and other insects. 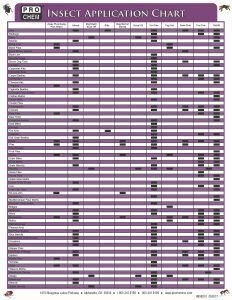 DRI-CIDE, when used as directed, is safe for use in food handling areas and for use around humans and pets. Do not use in rooms while occupied. Use a bulbous, mechanical, or electrical duster. Apply a small amount of material directly into cracks and crevices such as expansion joints between different elements of construction or between equipment bases and the floor, wall voids, motor housing, junction boxes or switch boxes where listed insects hide. Care should be taken to avoid depositing the product onto exposed surfaces or introducing the material into the air. Avoid contamination of food processing surfaces. For fire ants, sprinkle 2 tablespoons over mound.